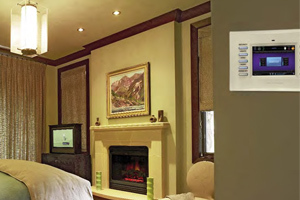 A climate control system allows you to monitor and control your energy consumption of the air conditioner, the lights, electronics, and some large appliances giving you a detailed history as well as an accurate real time analysis so you know exactly what to expect the next time you get the bill in the mail. Even more than just managing what you are using you can also monitor the energy that is being created by your solar power, solar thermal or hydrogen fuel cell. Managing your energy is no longer just trying to use less, but it's also working to become energy independent one day.